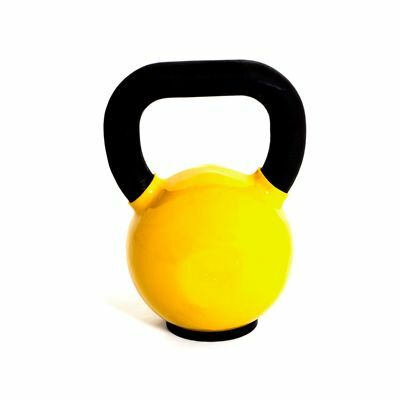 The Marcy cast iron vinyl dipped 28kg (61.7lbs) kettlebell is a perfect choice for everyone focused on serious strength and endurance training. Its super solid cast iron construction is covered with vinyl coating; the bottom features a rubber mat allowing for exercising without the need to worry about the condition of the floor and the kettlebell itself afterwards: there will be no scratches. The handle, wide and not coated, offers comfortable grip and enough space even for both hands. for submitting product information about Marcy Cast Iron Vinyl Dipped 28 kg Kettlebell We aim to answer all questions within 2-3 days. for submitting product information about Marcy Cast Iron Vinyl Dipped 28 kg Kettlebell. We aim to answer all questions within 2-3 days. If you provided your name and email address, we will email you as soon as the answer is published. for submitting product review about Marcy Cast Iron Vinyl Dipped 28 kg Kettlebell.